An expository essay is a non-fiction type of writing. In other words, it uses facts to present a detailed event or situation. Its goal is to simply explain and describe a certain topic, and all you have to do is to evaluate the idea and expand it in a few paragraphs. And just like any other type of an essay, the writer is also free to give his opinion. However, a deeper analysis of the information must be presented. If you are a bit confused, read the steps listed below on how to write an expository essay. An expository essay is already simple in its own way, so try to avoid topics that are too easy or have already been overused. And instead of choosing a broad idea, select a topic that is narrow and interesting enough, and also has a lot of supporting facts that you can use. After identifying your main idea, gather information and facts that are relevant to your chosen topic. Do not rely mainly on web based sources. Try to use other reliable sources such as newspapers, books, and journals. And in selecting information, make sure that it consists of the latest events, research findings, and statistical data. You can also include historical facts and information. Then select your method of development – either cause and effect, compare and contrast, example, classification, definition, or process analysis. The introductory or first paragraph must contain your thesis statement, either on the first or last sentence. Also provide a brief idea on what your essay is all about, or concise supporting details. And refrain from using the first-person pronoun “I”. Gather the facts you have researched and distribute them in the body of your essay, which can be in more than one paragraph. Each paragraph should tackle your main point. And in supporting your idea, avoid repeating the information used in other paragraphs. There should be a clear and smooth transition in between paragraphs. Make sure that each paragraph will link to the other paragraphs, and each sentence will correlate to the information you have laid down. 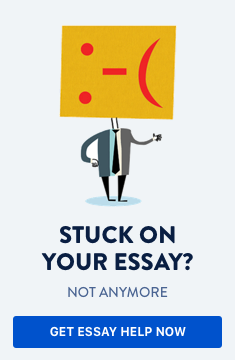 Otherwise, your readers might be puzzled, or worse, will no longer continue reading your essay. In your conclusion, do not simply restate your thesis statement. Instead, readdress it but still in accordance to the evidence you have provided. One of the most straightforward requirements in school is an expository essay writing, wherein you are not required to prove or develop any argument. However, due to the mix-and-match of information, students are usually having a hard time identifying an expository essay from other types of writing. And if you are one of these students, just follow the steps on how to write an expository essay outlined above and be prepared to get an A+ in school.